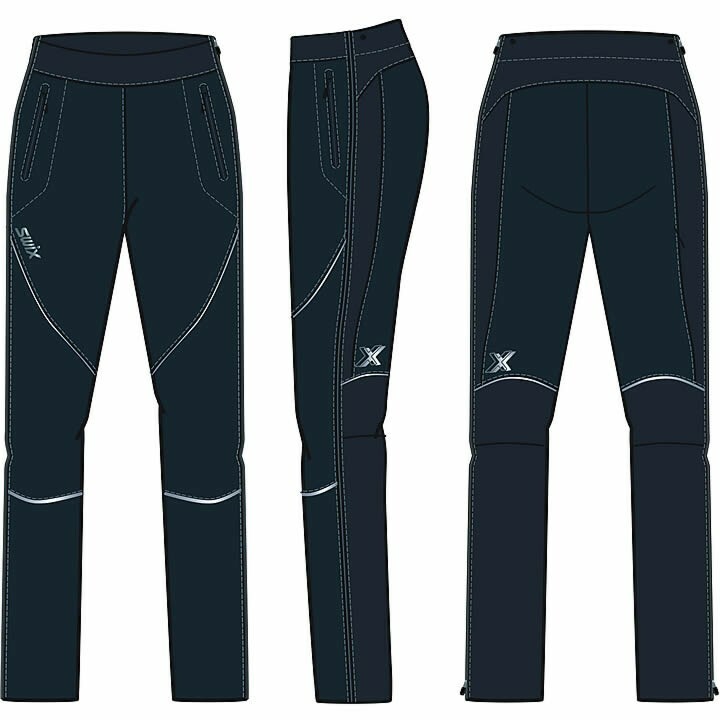 Height in 5'8"-5'9" 5'9"-5'10" 5'11"-6'0" 6'0"-6'2" 6'2"-6'3" 6'4"-6'5"
The ergonomic construction of the Swix Bekke Pants and the 4 way stretch fabric gives you complete freedom of movement all while it keeps you protected when it's cold as well as wet. They'll also work as a water-proof layer for hiking, cycling or snowshoeing! Full-length zippers let you vent as needed and pockets add a practical touch.